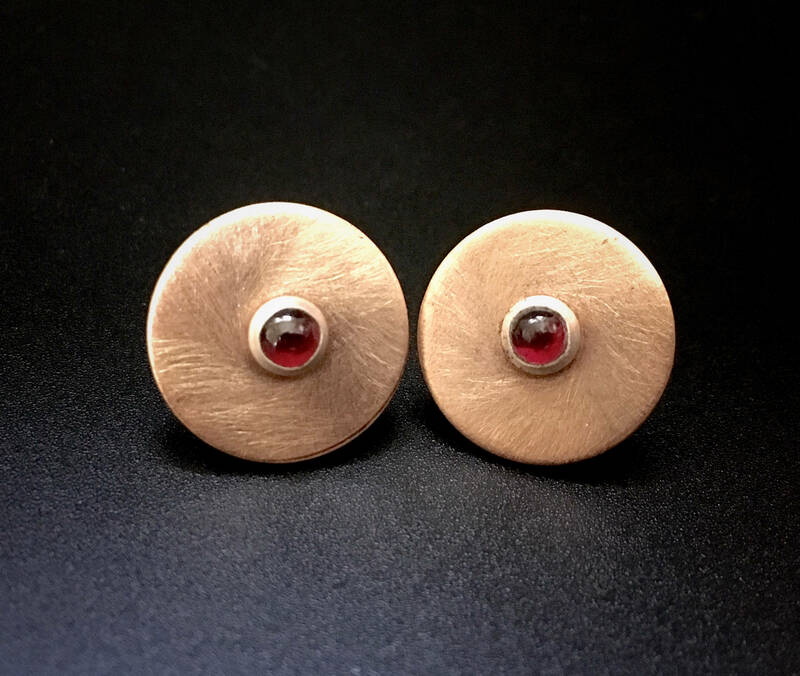 Modern and versatile stud earrings consist of 16mm round discs of brush-finished bronze and a sterling silver bezel-set Garnet cabochon. Stainless steel post. Please note that, like Sterling Silver, Bronze will develop a patina over time, which only enhances the character of the earrings!